The origins of the name Hulme comes from the Norse Holme which means an islet and a low lying piece of ground next to the river. In the time of Henry II,the Hall was in the domain of the Hulme family but was passed to the Prestwich family in 1452. For their support of the Royalist cause during the civil war, their lands and properties were sequestrated. At the restoration the Hall passed to the Mosleys but with the beginnings of the building of the Bridgewater Canal ownership transferred to a Mr G Lloyd of Manchester, an agent of the Duke of Bridgewater. From a population of around 1,600 in 1801, thirty year later it was 27,000, tripling again in just ten years and doubling by 1851. 63,177 people lived in 477 acres, to put that into perspective, one eleventh of the City’s population lived in a 45th of its area, not a single public area was in Hulme. There were 13,000 houses of which 11,506 had no bathroom, the death rate was at 20.88% compared to a City wide 16.93. World War One delayed the work but between the wars and post war the dream of a new Hulme began to take shape. 1951 and a major housing conference looked again at Hulme and concluded that the vast majority of housing in the area was unfit for habitation, there were still 10,000 properties in the area of which only 1,450 had baths. Post war the talk was all about new homes rising from the ashes of the old, modern flats to take over 400 families had gone up, one of the new blocks at St George’s was on the site of the old barracks. 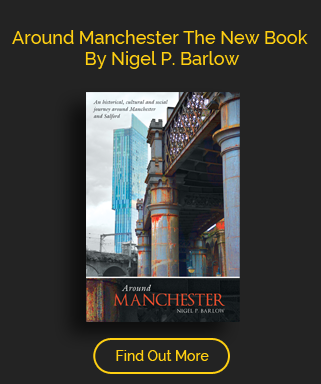 It was portrayed as a thriving community with its two theatres, the hippodrome and the playhouse as well as one of the finest shopping streets in Manchester drawing thousands to the street every Saturday from all parts of the City. All the plans were hailed as being unique and a fascinating concept which would make not only the planners but the citizens proud. This was the £20m concept for a thousand maisonettes in long curved terraces which would give a touch of 18th century grace and dignity to municipal housing. 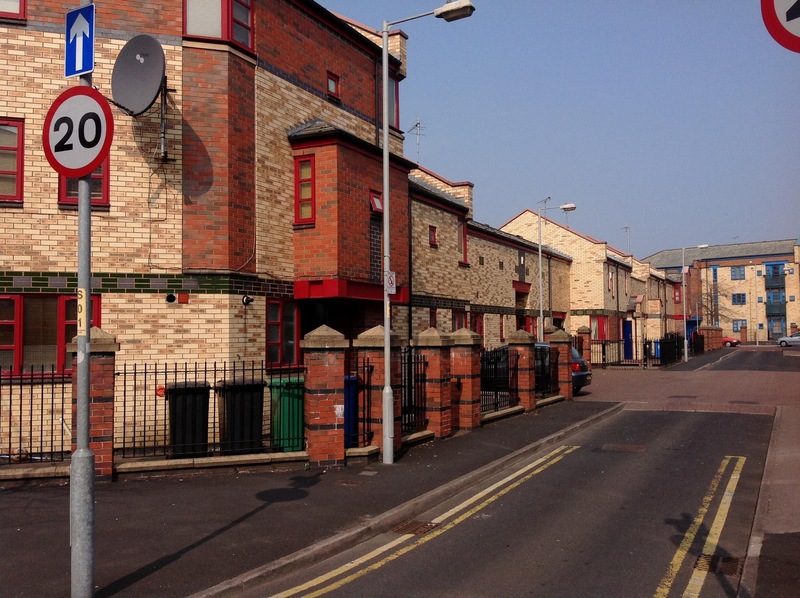 A tenants group was set up, the Council immediately started rehousing families out of there and replacing them with single people or childless adults, they became the accommodation of young, ex-homeless, ex-hostel young couples or students. Structural life expectancy was forecast to last only until the mid 90’s and with less than half occupied by 1990s the Council said the crescents had no future role to play in Manchester’s housing and should be emptied and demolished as quickly as possible. Today’s Hulme is seen by many as the prototype for twenty first century regeneration, the model would see the beginnings of the partnership between the public,private and voluntary sectors as well as creating a role for the local residents and would act as guide to redevelopment across the rest of the city.